New Toy: WiFi Controlled AC Switch for My 3D Printer - Hacked Itead Sonoff | Life, The Universe and ... Everything! A few weeks back I discovered that the stepper motors on my 3D printer were warm to the touch, even when not in use. I asked on the facebook group and learned that the motors are kept powered to prevent the extruder from being accidentally moved. This doesn't work for me, as since the printer is on a different floor and operated remotely, I like to leave it powered on. But I didn't like the idea of having the motors powered. 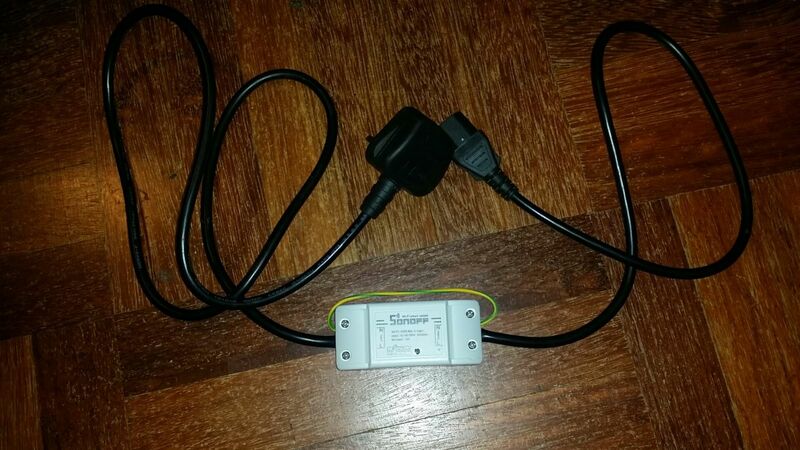 So I decided to look for a remotely controllable power switch. My first idea was to build one. I already had an always-on Raspberry Pi controlling the 3D printer, and you can buy high current relay modules and integrate them to the Pi. A couple of people voiced their concerns over this however, as a wiring mistake would lead to high voltage frying the Raspberry Pi. But then I came across the itead Sonoff Wifi Controlled Power switch. I just cut the power cord and wire the Sonoff to the AC Live and Neutral wires in between the supply and the device being powered (Note: The earth wire needs to be run around it, as the Sonoff doesn't have a pass through connector for it). 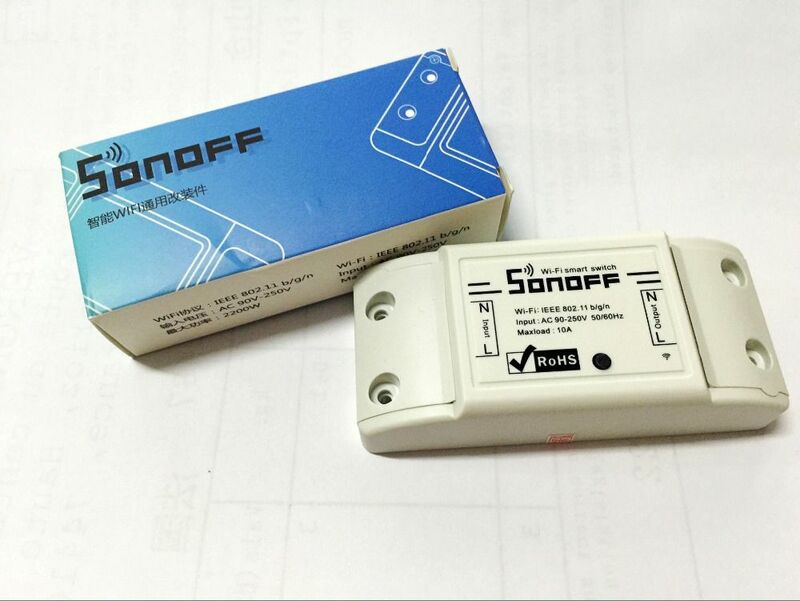 The Sonoff connects to your WiFi network, and lets you switch on and off the power to the device from an android app. And the best part, it's only USD5.85 ! Since this was a neater solution (no wires to the Pi) I ordered two units (one for the 3D printer, and another to play with). It supports up to 10A of current, which from other people's measurements is more than enough for my 3D printer. I spent about 10 minutes trying to get the eWeLink software android app to pair with the device. It requires registration on a cloud based app (I guess so you can control it outside of your network). I wasn't to happy about letting an external party have control over my power switch. 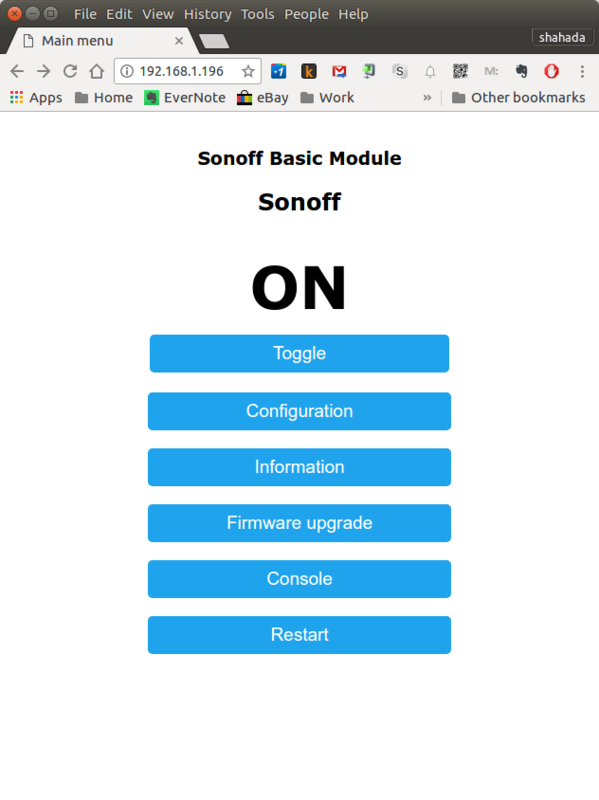 In the end though, I didn't bother with it as I found an "alternative" firmware for the Sonoff, called Sonoff-Tasmota, written by Theo Arends. 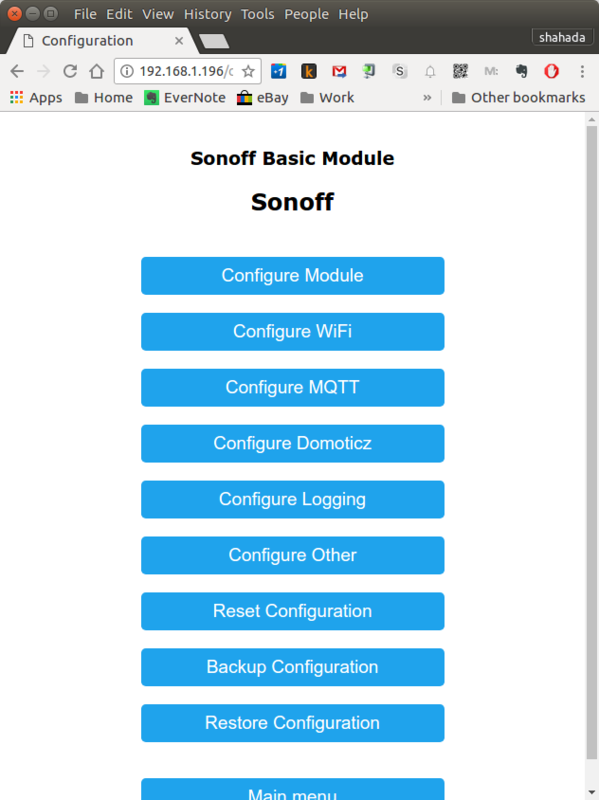 This adds a webserver on the sonoff itself, so you can just browse to it from pc or mobile device (no app required) and turn the device on or off. 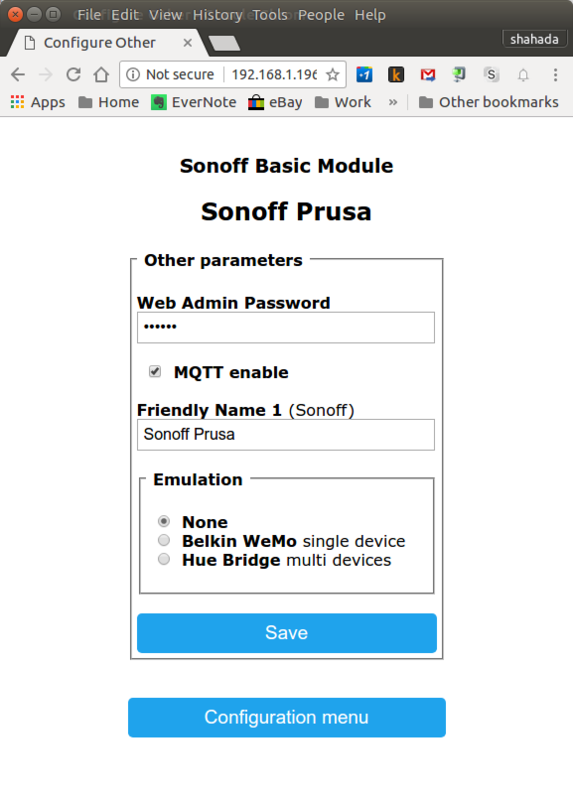 It doesn't stop there, as the Sonoff-Tasmota firmware also adds support for MQTT, a messaging protocol that lets you connect to a IOT message broker. This allows the Sonoff to notify other devices and systems on it's current state (on or off) and also be controlled by the other systems. 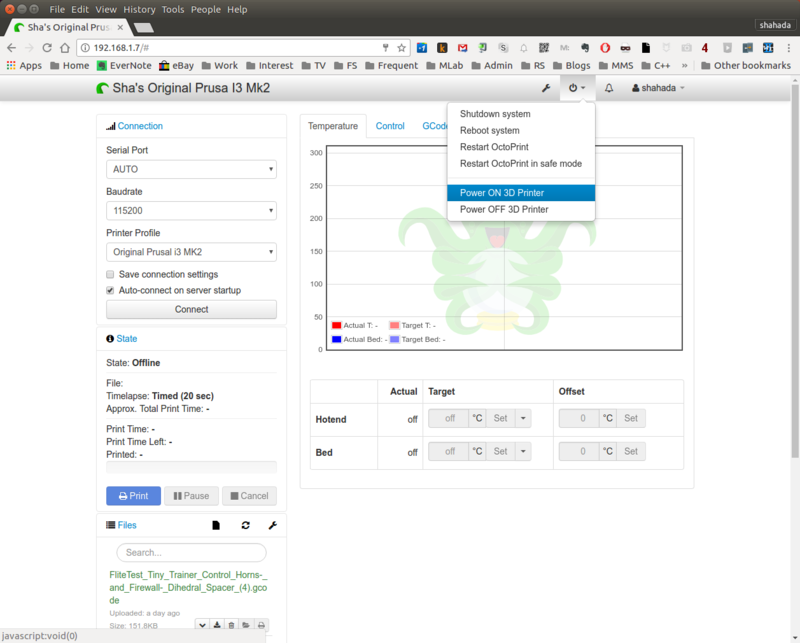 I installed the Mosquitto message broker on my Raspberry Pi, and with a few scripts I was able to add a power control option to my 3D Printer's Octoprint menu. Oh, and if you're wondering, there's also a little button on the Sonoff itself, that can be used to manually toggle the power on or off. Here's the big picture of what how it all connects up. To install the Sonoff-Tasmota firmware on the Sonoff device requires getting ones hands dirty. 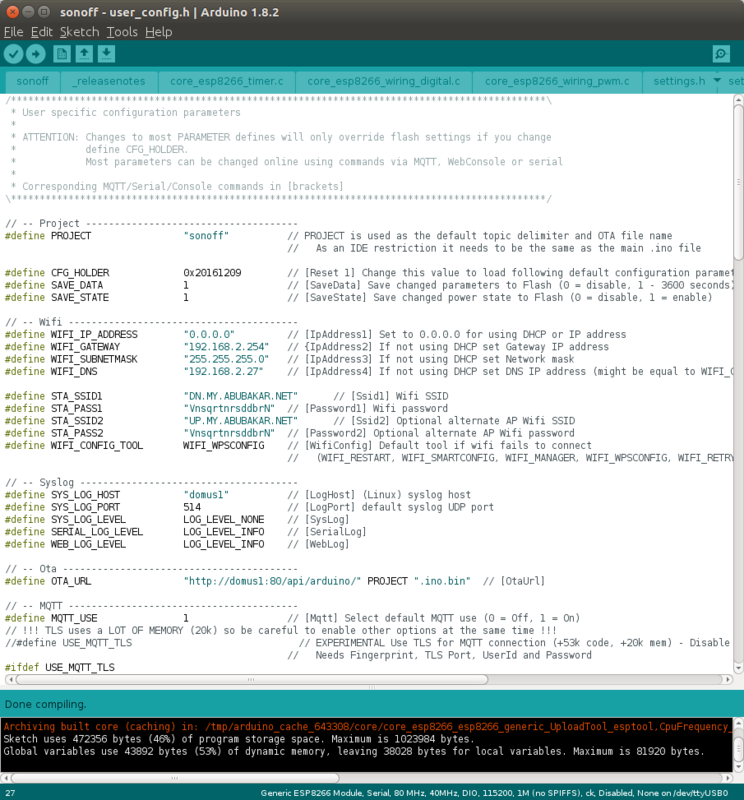 Under "Download the Arduino IDE" choose "Linux 64 bits" (my desktop PC runs Ubuntu) followed by "Just download"
Right click on the icon in the Ubuntu launcher and select "Lock to Launcher"
Now you can launch the Arduino Sketch IDE from the icon in your Launcher. 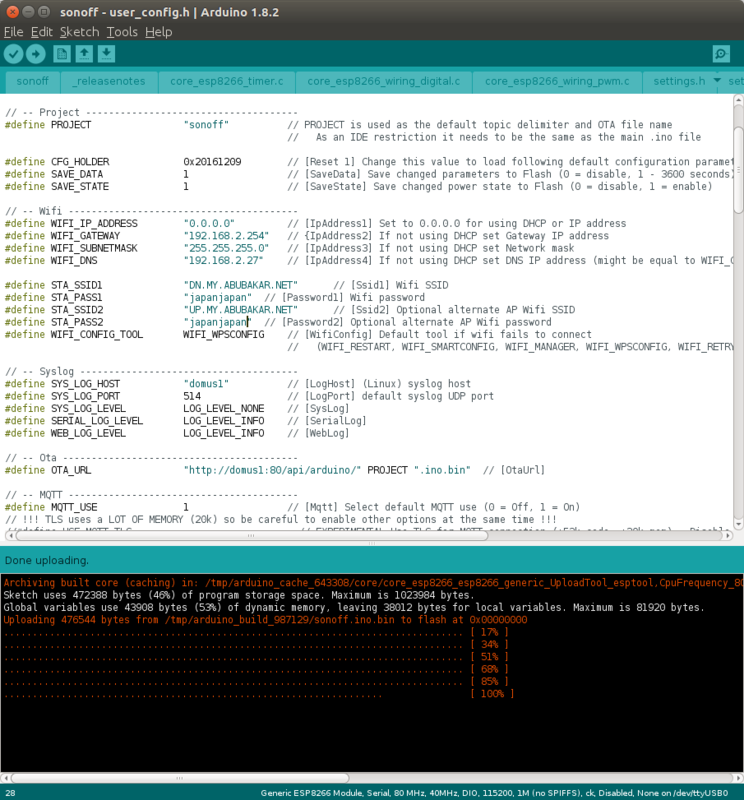 Next we have to teach the Arduino Sketch IDE about the ESP8266 chip, which is the CPU at the heart of the Sonoff. If there are existing URLs there, separate them with commas. Scroll down and click on "ESP8266 by ESP8266 Community"
Install button appears, choose latest version and press button. Change the values for STA_SSID1 and STA_PASS1 to your Wifi APN. If you have a second Wifi APN, set it in STA_SSID2 and STA_PASS2. Connect your FTDI adapter to the PC. It should light up. Hold down the button on the Sonoff and connect back the VCC (blue) wire. This will power on the Sonoff and put it in firmware flashing mode. Once it has reached 100%, wait a second or two, and disconnect the USB cable to the FTDI. Wait a further few seconds, reconnec the USB cable to the FTDI. Select Tools -> Serial Monitor. This time do not hold down the Sonoff button. You may want to go into your router and assign fixed IP addresses on your LAN based on the Sonoff's MAC address in the DHCP settings. You can now control the Sonoff to switch the device On or Off by pressing the Toggle button from the web page. The green light on the Sonoff indicates if the power to the device is on or not (of course, since we haven't plugged in AC power, there is no power to supply). For now, leave the Sonoff connected to the FTDI adapter, and do not connect AC power. If you want to automate many things, you probably should aggregate all your Sonoff switches to a Message Broker. This lets other systems communicate with the Sonoff. Since I already had a Raspberry Pi running 24/7 to control my 3D printer (running Octoprint), I decided to install the MQTT server on the Raspberry Pi as well. I used a software called Mosquitto for this. edit /etc/mosquotto.conf and append "include_dir conf.d"
The Host is the IP of your Raspberry Pi running Mosquitto. Port is usually 1883 for unencrypted MQTT. Client ID should be a unique name identifying this Sonoff device. User and password are mosquitto user and passwords you created above. You can either create a unique one for each sonoff or have them share the same. Apr 28 15:58:09 octopi mosquitto: Starting network daemon:: mosquitto. Apr 28 15:58:09 octopi systemd: Started LSB: mosquitto MQTT v3.1 message broker. Apr 28 15:58:09 octopi mosquitto: Config loaded from /etc/mosquitto/mosquitto.conf. Apr 28 15:58:09 octopi mosquitto: Opening ipv4 listen socket on port 1883. Apr 28 15:58:09 octopi mosquitto: Opening ipv6 listen socket on port 1883. Apr 28 15:58:15 octopi mosquitto: New connection from 192.168.1.31 on port 1883. 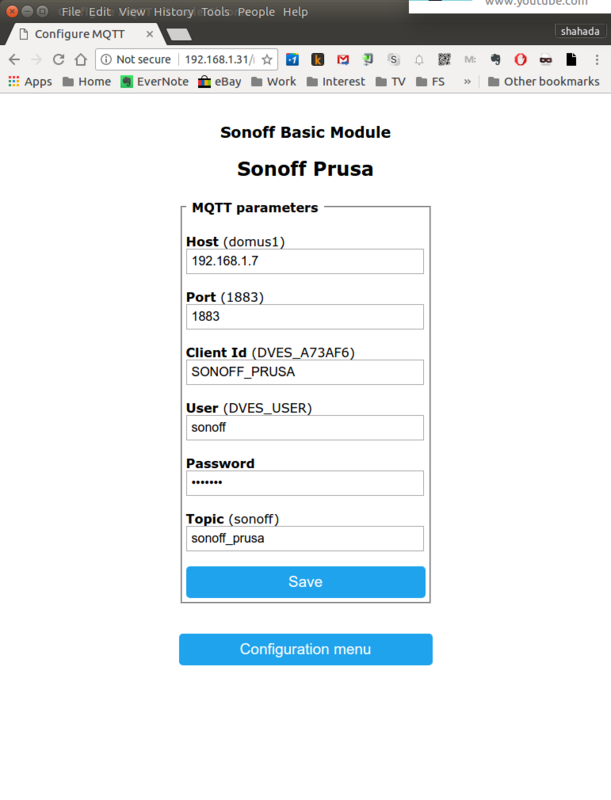 Apr 28 15:58:15 octopi mosquitto: New client connected from 192.168.1.31 as SONOFF_PRUSA (c1, k15, u'sonoff'). Apr 28 15:58:16 octopi mosquitto: New connection from 192.168.1.32 on port 1883. Apr 28 15:58:16 octopi mosquitto: New client connected from 192.168.1.32 as SONOFF_RND (c1, k15, u'sonoff'). Click Settings (the spanner icon). in "... from the Plugin Repository", type "System" into the Search field and press ENTER. Select "System Command Editor" and press Install. When prompted, click "Restart Now"
When prompted, click "Reload Now"
When you select these items, the green light on the Sonoff should turn on and off, indicating it is switching. If you're happy with things so far, disconnect the Sonoff from the FTDI adapter. It is now time to wire it up to AC. If you have something less expensive than a 3D Printer that powers up via IEC, I suggest testing with that first. 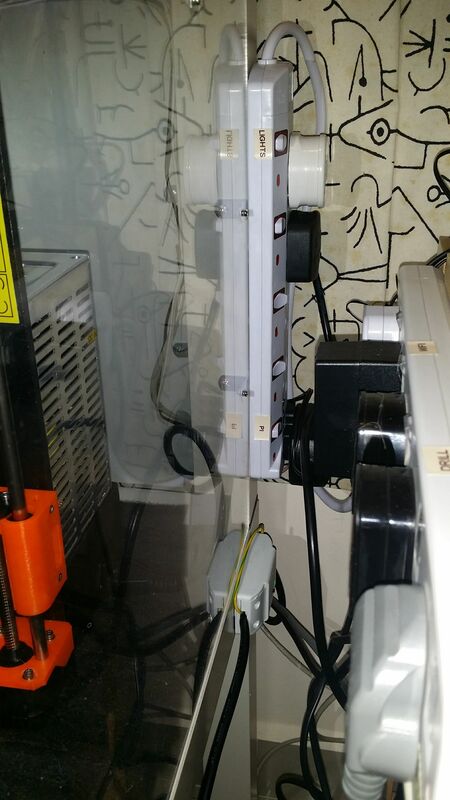 The Sonoff has mounting holes but they're a pain to get to, so I just used double sided tape and stuck it to the side of my IKEA Lack enclosure. I might add a second Sonoff to link to the LED lights in the enclosure (or have the have the Sonoff power the 3D printer and lights together). Itead make many other types of Wifi-based AC controllers. There's the Slampher, which fits in-line with a E27 light bulb, and the S20 smart socket, a neater controller featuring an AC socket. All of these can be hacked with the Sonoff-Tasmota firmware to support MQTT. Once you have linked them to an MQTT broker, you can remotely control or automate their switching through any MQTT client or dashboard software. MQTT can also be interfaced to Amazon's Alexa and Google's Google Home voice-activated assistants. I might look into interfacing more things in my house to MQTT and having them voice controlled. 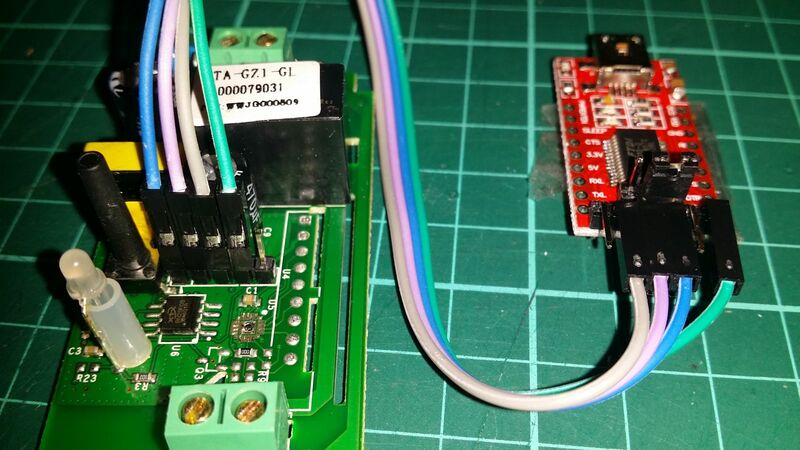 Here's an arduino library to control most airconditioning units via infrared, that with some hacking can be controlled via MQTT and built with a ESP8266 module.